CTGlobal and BasicBytes have partnered up to promote Access Director, the privileged access management tool which enables administrators to grant users administrative rights on their own devices, to facilitate better performance and tighter security. 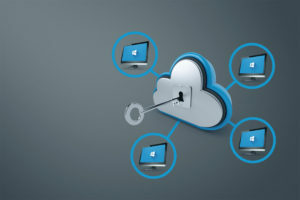 March 6, 2019 – Copenhagen, Denmark – Since 2013, the Access Director tool from BasicBytes has enabled IT administrators in enterprises to granularly control admin rights on corporate devices. With Access Director, administrators are able to grant individual users restricted administrative privileges. Effectively, the administrator can give an individual user or group of users administrative rights to update, install and uninstall software on their devices, for a specified length of time – e.g. two minutes per session, enabling the user to perform just the one particular action, without having to involve IT admins – and, when time is up, revoke the admin right, to ensure that no further actions are possible. The privileges allocated to the user or user group can be set at a very granular level, based on software categories and access permissions. The admin privileges are only granted for individual task, not device-wide, ensuring that no unintended activity takes place below the radar. Logs of user actions are stored, enabling administrators to check the user’s activity history. “The benefit to enterprises falls into two categories: First of all, the company admins save a lot of time, because users no longer have to call internal IT for mundane update tasks. Secondly, the security reward is significant: One of the biggest threats to corporate security is that users do not update the software on their devices. Failure to install the security updates when software vendors publish them, leaves the individual device – and through it the entire corporate infrastructure – vulnerable to cybercrime,” explains Thomas Marcussen, developer of Access Director and owner of Basic Bytes. Almost all known vulnerabilities have available security patches available on the day they become publicly known. With Access Director installed, users can accept the security updates as they are pushed through to the device, without requiring assistance from internal IT. In addition to facilitating good update habits, Access Director also provides an overview of how often users require admin rights, so that IT teams can adjust permissions to meet actual, not perceived, requirements. “Some admins are skeptical that allowing users admin privileges, even briefly, will pose a risk to corporate security. But Access Director monitors all activity and reports it to a central intra- or internet-based reporting point, ensuring that users cannot inadvertently cause damage to the system,” clarifies Thomas Marcussen. “We have worked with Thomas Marcussen for several years, and our consultants already recommend Access Director to a number of our customers. It’s an incredible useful tool to enterprises, because it dramatically reduces workloads for IT operations and increases security levels throughout the infrastructure. The combination of Access Director, which gives admins hands-on control of user actions, and the CTGlobal Insight Analytics dashboard, which visualizes problem areas and health status, is very powerful,” states Lau Robdrup, Business Development Manager at CTGlobal. CTGlobal is an IT consultancy and development company focused on cloud, data center, security and enterprise client management. The Corporate HQ is based in Denmark with offices in Norway, Estonia and The United States. CTGlobal is Microsoft Gold Partner in Windows and Devices; Cloud Platform; Cloud Productivity; Datacenter; and Enterprise Mobility Management, and our experts speak and teach at leading international seminars and conferences. CTGlobal helps enterprises maximize return on their investments in Microsoft Systems Management and cloud platform solutions, by visualizing threats to compliance, security and performance in their IT infrastructure, and prioritize tasks and resources accordingly. CTGlobal is renowned for expert solutions and recognized as leaders in the field of management technology and infrastructure visualization.